MADE SPECIFICALLY FOR AND CUT SPECIFICALLY FOR WOMEN! NOTE: These are not just suits available in smaller sizes. 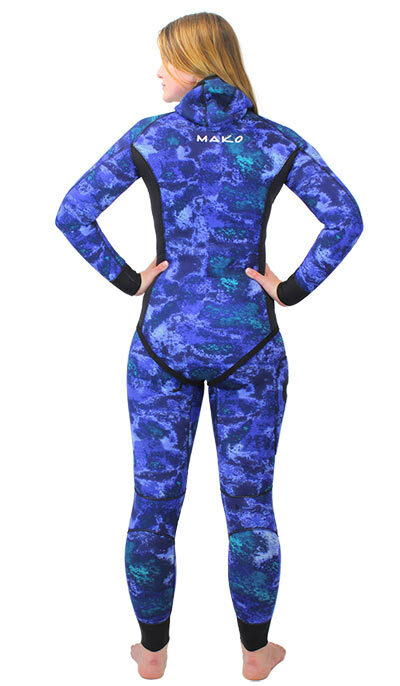 These spearfishing wetsuits are made and cut specifically for women. 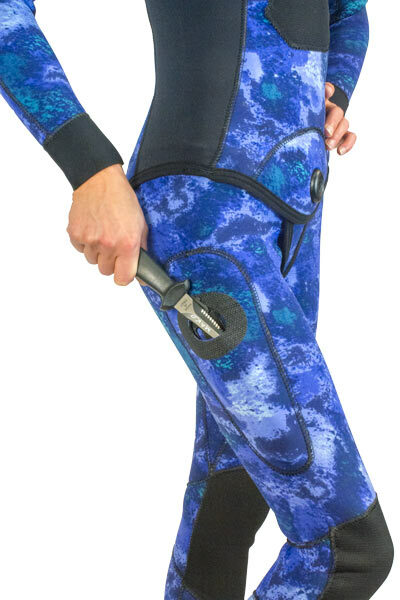 To do this, we first consulted with the finest seamstresses available, took countless measurements, fed them into a computer, made countless samples and finally, came up with what we think is a winning formula to address the needs of 90 percent of all women divers. The third step was to use a newly released outer material that offers 30% more stretch than any other material available. It is called Yamamoto Mega Stretch and it takes wetsuit technology to a whole new level. The 4th step was to create our new MAKO SPEARGUNS YAMAMOTO 3D OCEAN BLUE CAMOUFLAGE pattern designed specifically for blue water hunting. So, not only are these suits specifically cut for women, they are also the finest suits available. No other suits offer more stretch or more warmth than these suits. And, with these appropriately cut patterns for women's sizes 2 to 10, each suit will have a custom like fit. MAKO Spearguns recognizes the rapidly growing number of women freedivers and spearfisherwomen and we are excited about being at the forefront in providing women with the highest quality gear. For the other 10%, Yes, we will soon be making custom Yamamoto suits for both men and women. 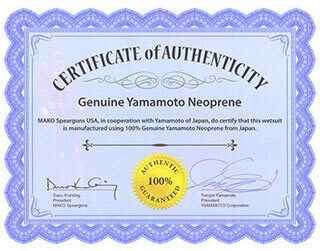 100% Genuine Yamamoto #39 Neoprene: The finest neoprene material in the world. Yamamoto Mega Stretch Camo Outer Material: This is the improved outer material which makes this the best suit available. NOTE: Open cell suits are 20% warmer than closed cell suits. For example, a 3 mm open cell suit will be as warm or warmer than a 5mm closed cell (nylon lined) suit. 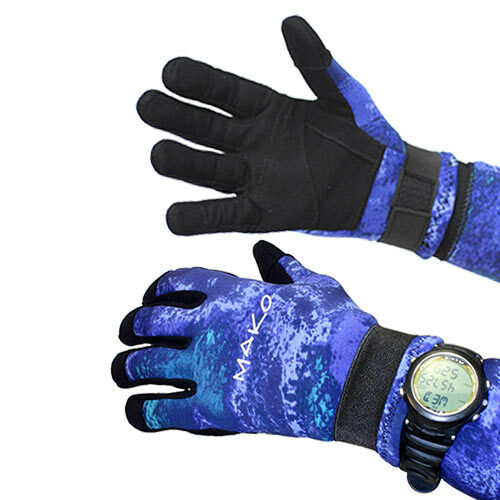 The benefits include greater warmth and comfort with less bulk and less lead required to control buoyancy. Serious freedivers prefer these suits because they spend much more time in the water than bottom-time restricted scuba divers. Mega Stretch hood accommodates pony tails with extreme comfort. A beautiful wetsuit. I’ve never had an open cell wetsuit before and I was surprised how warm it is. My boyfriend’s suit cost twice as much for similar quality. Planning to take it spear fishing in the YucatÃ¡n. Thanks Mako! I tried on the wetsuit at home using diluted conditioner. I was worried I was too short for a medium wetsuit. . I have not tried it in the water yet. The neck area seems to have more space for one with a longer neck, and the under arm area also seems to be a bit loose, but the overall length of the pants is okay. I initially wanted to order small pants with a medium top. I am absolutely in love with my choice. 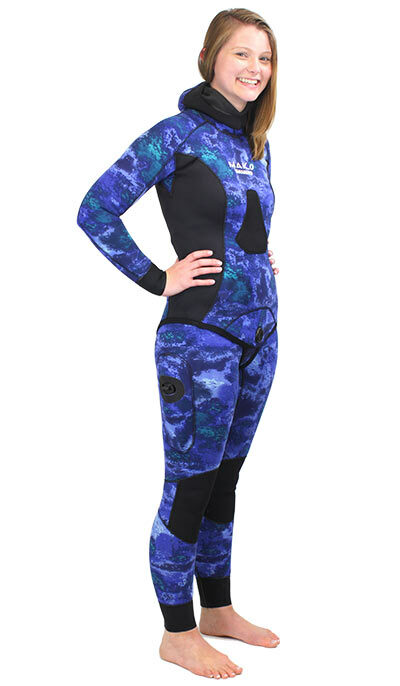 After hours of wetsuit shopping online I pulled the trigger. I couldn’t be happier. Fits wonderfully on a curvy hourglass female. I am 5'8 and 150lbs and the Women's M/L suit fit absolutely perfect! 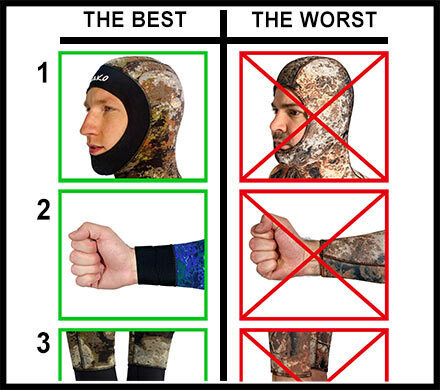 Its super warm and flexible. Highly recommend! Their customer service department is awesome too! They made the shipping process a breeze and were very quick with their replies. I'm 5'03"/140 (thanks to menopause), no torso or waist, all arms and legs, very difficult to fit. I got the ML size and it slips on just great, no binding and should still fit me fine if I obtain my 15lb weight loss goal. Quite a warm little suit!